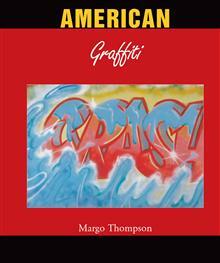 Offers an analysis of the intersections between graffiti art and the work of Basquiat. This book analyses the similar backgrounds of the graffiti artists and Basquiat, and while also drawing the distinctions which propelled Basquiat to international renown, while most of the graf... read full description below. The first appearances of graffiti "tags" (signatures) on New York City subway trains in the early 1970s were discarded as incidents of vandalism or the rough, violent cries of the ignorant and impoverished. However, as the graffiti movement progressed and tags became more elaborate and ubiquitous, genuine artists emerged whose unique creativity and unconventional media captured the attention of the world. Featuring gallery and street works by several contributors to the graffiti scene, this book offers insight into the lives of urban artists, describes their relationship with the bourgeois art world, and discusses their artistic motivation with unprecedented sensitivity.